Enhance your lips with glo™minerals lips products formulated to deliver full, luscious lips in colors ranging from natural nudes to calypso pink. Gloss, Lipstick, Sheer Lipstick, Liquid Lips, Precision Lip Pencils, Royal Lip Crayons and other lip treatments work luxuriously to deliver intense moisture and antioxidant benefits, proving healthy lips and serious long-lasting color co-exist beautifully. Color with shine. For a natural look, apply Gloss alone. For a more polished look, apply Precision Lip Pencil and Lipstick then top off with Gloss for added color and shine. Available in 18 shades (view the gallery at left). Infused with spheres of Marine Collagen Atelocollgen. These spheres work to plump lips by trapping water and swelling, thus providing volume to the skin's structures. For a poutingly plump pucker, apply Lip plumper alone or before your lip color. Available in clear, copper shimmer, perfect plum, sheer berry, very berry. A high shine, luxurious formulation for an ultra-moist look that lasts while rich nutrients condition and protect. High fashion can also be good for your lips. See gallery for shades available. A crayon-inspired, chunky pencil that shades the lips with a moisture rich, long-lasting sheer gloss, and has the precision of a pencil. These sharpen-able crayons are available in five gorgeous shades (shown in the gallery at left). EXFOLIATING LIP WAND -Tranform your lips in one easy step! Nourishing wax microcrystals derived from jojoba seeds slough away dry skin and melt on contact to deliver soft, smooth and hydrated lips. Therapeutic lip treatment with apricot kernel oil & jojoba esters and essential oils of peppermint, thyme and clove. Pure essential oils of rosemary and mint cool the lips and deliver a fresh inspiring scent. Protects lips with full spectrum SPF 15 while nurturing botanicals of hemp seed oil, meadowfoam and mango seed butter soothe and heal. Moisturizing lipstick with remarkable wearability and a color palette as rich as the nature-inspired colors they are modeled after. View the 22 color palette in the gallery (at left). An ultra-moisturizing sheer formula that delivers a perfect subtle lip tint. Choose from 8 shades shown in the gallery (at left). A clear liner primer that leaves lips looking smooth, soft and professionally defined. Smoothes and fills fine lip lines to prevent feathering and fading while supporting hydration of the lips. An advanced, creamy pencil formulation enriched with nutrients and antioxidants. Long wearing water-resistant liner helps keep lip color in place while the attached lip brush makes it easy to blend liner or apply Lipstick on-the-go. 12 colors to choose from. Light gel formula with Alphablend, a corrective mixture of natural fruit acids to smooth, soften and exfoliate your skin. Exfoliates dead skin cells with its natural blend of Chinese grains in certified organic oils. Leaves the skin silky smooth and soft. Extremely fine grains gently buff away dulling surface flake. Unclogs pores and smoothes your skin's texture. Blend, shade and contour with eye shadows and pencils that make creating beautiful looks easy. Rebecca proudly sells glo minerals eye makeup infused with antioxidants and nutrients that are gentle enough for even the most sensitive eyes. Wow Your Brows! Go from arch enemy to an architectural masterpiece. Transform your brows from boring to beautiful in seconds with glominerals' new Brow collection, a kit designed to help you create the perfect brow. Available in taupe and brown. Collection includes: 4 brow stencils, brow powder duo, spoolie brush, brow wax, tweezers, highlighter and angled brow brush. Provides brow-sculpting control in tinted or clear. Brow gel not only defines the brow line, but also provides instant cover for unwanted gray or silver hair. Recommended enhancers: Precision brow pencils. Available in brown, clear, taupe. 3 brow powder duo shades to expertly match any brow color. Mix the 2 shades to expertly fill in sparse areas of the brow. Available in auburn, blonde, brown, taupe. Fast, natural-looking brow enhancement in a mineral base that fills in brows plus helps sculpt and shape. Each brow pencil has a versatile sculpting brush on the end for 2-in-1 shaping and blending. Available in auburn, blonde, brunette, taupe. Formulated to deliver nutrients and help the lashes grow to their potential. Use Lash lengthening mascara alone or apply Lash lengthening mascara after Lash thickener and conditioner for optimal results. Mascara is available in black or brown/black. For a smooth, even application, that enhances each lash. Lashes will appear fuller and more luscious in just one application. Luxurious cream pigments in glominerals eyeliner enable easy precision lining at the lash line. This product can also be smudged for a smoky look. Select from ebony or expresso. Rich hues and timeless color favorites of glominerals eye shadow deliver crease-free coverage in a base loaded with antioxidants perfect to highlight and contour all eye shapes. See image gallery to choose from 27 shades. Color-perfect eye shadow collections complete with a base, contour and highlight shade. Available in amethyst, ballerina, champagne rose, copper sheen, coffee, mulberry, palm, posh, sandstone. Coal color glides on with pinpoint precision and dries quickly--lasts all day! Plum, black and brown color pigments can go from a delicate enhancement to an intense bold line. An advanced mineral eyeliner formulation that glides on like silk and never runs. Infused with antioxidants and formulated for even the most sensitive eyes. Available in ten velvety, water-resistant shades with an artist's blending point on the tip of each eye pencil. View shade samples in the image gallery. SMOKY EYE KIT / METALLIC SMOKY EYE KIT - Smoky eyes are always on trend, and now it's an easy look to create. The Smoky eye kit and Metallic smoky eye kit each include four essential colors for creating a sultry smoky eye in a sleek, mirrored compact. Five easy steps application guide included. Use Eye Revitalize under concealer to revitalize tired eyes prior to makeup application. Carry the tube in your purse to dab on eyes that need a little 'wake up'. For the brightest of eyes, use this under the Brightener Highlight Concealer. glo™minerals bases are formulated using powerful pharmaceutical-grade antioxidants and natural, high-pigment minerals. These products provide broad-spectrum UV protection and combat free radical damage. They are designed to deliver a flawless complexion while improving the health and appearance of the skin and protecting it from the outside - in. The most popular base, gloMinerals Pressed Base powder delivers flawless, semi-matte coverage. See image gallery for shades available. The loose base formulation offers flawless opaque coverage with deeper pigment and slightly more luminescence. Glominerals under eye concealer offers rich pigments to conceal and clinically advanced treatment ingredients to help improve dark circles and hyperpigmentation. Includes treatment benefits to help brighten and improve dark circles under the eyes. Available in Beige, Golden, Honey or Natural. Glominerals oil-free camouflage offers rich pigments to conceal and clinically advanced treatment ingredients to help improve dark circles and hyperpigmentation. Available in Beige, Golden, Golden-Honey or Natural. This unique formulation neutralizes surface redness and soothes skin with ingredients including honeysuckle, zinc oxide, licorice and caffeine. Ideal for even the most sensitive skin, and after advanced chemical and microderm treatments. This product will prevent oil from interfering with your shadow application, allowing for more vibrant eye shadow color and longer lasting eye makeup. This clear gel glides on giving you a smooth, more uniform surface by filling in fine lines and imperfections, to create a flawless appearance before application of your foundation. For every beautiful complexion, there is a perfect blush, a seamless bronzer, or a shimmer powder to highlight and accentuate it. These natural mineral formulas are delivered through a color palette representative of the richest plums, nudes, roses and earth tones. High pigment color for expert shading and highlighting. Natural, earth-toned shades can be used to contour the face, while vibrant shades brighten and add a pop of color to the apples of the cheeks. 13 shades to choose from: bare, begonia (shimmer), hibiscus, innocent (shimmer), nectar (shimmer), papaya, paradise, rosebud, sandalwood, sheer petal (shimmer), spice berry (shimmer), sunset, sweet (shimmer). Compatible pairs chosen to contour and highlight cheeks or blend together for a radiant glow. Use the shades individually or as a duo to contour the sides of the cheeks, while applying the other color to the apples of the cheeks— or layer the two shades together. Available in petunia or terra cotta. This creamy formulation can take you from a soft, subtle hint of color during the day to that "wow" look for evening. Available in fig, guava, plumeria. Flattering tint for all skin tones gives just the right amount of rosy, keeping lips and cheeks in full bloom. Formulated for maxium staying power that won't wear off! Apply this pink luminizer anywhere you want a subtle, natural glo that can instantly brighten your complexion. Four beautiful colors that can be swirled together or used individuall. Available in gleam and luster. Color and shine enhancer delivers a range of effects from a subtle sparkle to a gilded skin tone. Available in gold, silver, bronze. Seamless color enhancement with a hint of bronze shimmer. Choose from sunkiss or sunlight. Create an all over sun-kissed glo with glominerals body bronzer. This luxurious lotion can be used on all skin types to create a subtle, immediate, all over tan or enhance your own natural tan while giving just a hint of beautiful shimmer. Body Glisten Adds shimmer and sparkle to give your skin that extra glow! Apply to exposed skin on any part of your body day or night. 10 minute treatment mask draws out pore-clogging impurities, revs-up microcirculation and hyrates the skin below the surface. A moisturizing treatment mask which is loaded with rich emollients. This smoothes out the appearances of surface lines and dryness, leaving your skin soft, comfortable and revitalized. A super-quick-fix that can be used as often as needed. Rapidly remedy dehydration with this supercharged mask that locks in comforting moisture as it does away with dullness. Deep Exfoliating Mask is a blend of cell-sloughing exfoliants including citric and malic acid from citrus fruits, lemon extract and Artic Algae. A highly stimulating and mineral-rich seaweed. Kerafole exfoliates several layers of dead surface cells, making skin appear brighter, feel smoother and look healthier instantly. 2% salicylic acid medicated cleanser containing natural papaya and pineapple enzymes to exfoliate dead skin cells. A highly effective cleanser washes away makeup, excess oil and acne-causing bacteria. Unclogs pores and helps prevent and clear acne blemishes. Leaves skin feeling clean, comfortable and fresh. Medicated astringent drenches your skin with acne-fighting plant extracts and 0.5% salicylic acid. Clears the way for an application of AcnePlex or PorePlex. Helps control oil and bacteria as it unclogs pores. Medicated treatment mask helps prevent and clear up acne blemishes. Helps draw out pore clogging debris, soaks up excess oils, calms inflammation and promotes fast healing of existing breakouts. Medicated daytime treatment gel controls oils, unclogs pores, fight acne bacteria and helps reduce inflammation. 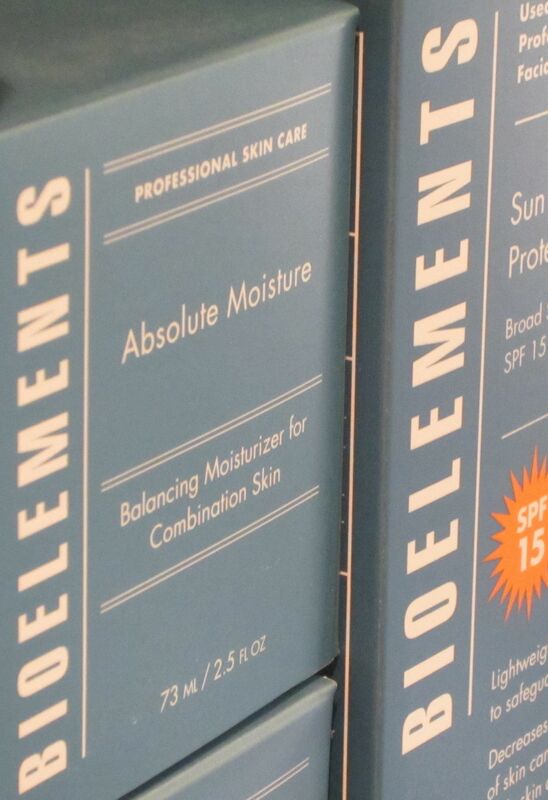 Provides UVA and UVB protection by combining natural sun blocking agents with sunscreens. Non-greasy and light, it feels comfortable on your skin. SPF15. Use daily for maximum sun protection. A powerful sunscreen that provides UVA/UVB protection that can lead to premature skin aging. Relax, indulge and transform your skin and mind with these luxurious bath and body products from glominerals. Designed to moisturize, nourish and firm the skin on the body for an overall boost in radiance and health. Regulates moisture to banish dryness. Smoothes away rough, brittle surface cells. Encourages firmer body and restores radiance to skin while surrounding your body with the enticing aroma of pure botanical oils. Formulated with pure essential plant oils and extracts known for their ability to smooth and moisturize skin. The silky soft creamy lather cleanses the entire body without irritating the skin. 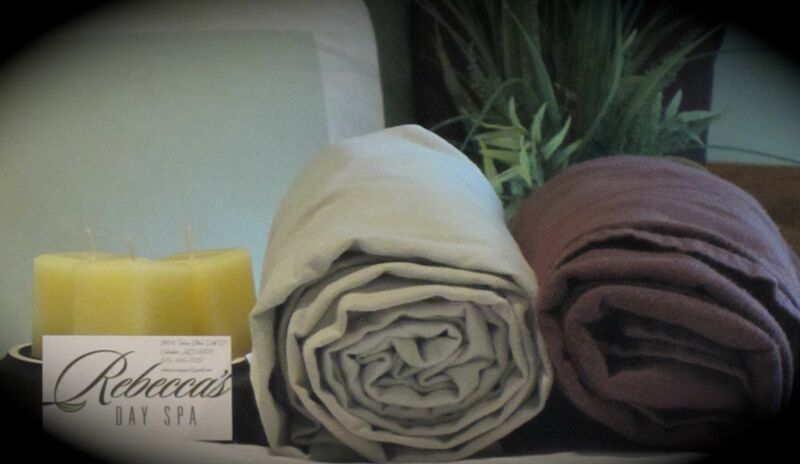 Skin is left feeling calm, soothed and soft. Soap-free cleanser that produces a flash foam to wash every inch of your body squeaky clean while skin compatible citrus and mint aromatherapy oils nourish and smooth. Natural citrus aromatherapy oils smooth and nourish while antioxidant vitamins protect against environmental toxins. This easily absorbed treatment cream also provides a 24-hour moisture barrier that builds with regular use. 100% natural cactus fibers woven into an exfoliating buffing cloth that polishes your skin and removes dulling, dead skin cells. Helps stimuale lymph and blood circulation, aiding in the removal of impurities under the surface. The glo Body Travel Kit includes these airline-approved glominerals body products all in the gloMinerals signature soothing scent of honey sugar butter: 2oz body wash, 2oz body butter, 2oz sugar body polish, lip balm, mini travel candle. Designed to gently cleanse while a delicate blend of pure honey and shea butter impart moisture to the skin. A skin silkening exfoliant that smoothes and nourishes for body radiance. Scent: honey sugar butter. A rich blend of natural extracts and moisturizing agents formulated to deliver superior nourishment to the skin to protect and hydrate. Scent: honey sugar butter. Say goodbye to dry skin with the intense exfoliation and soothing hydration of Smoothing Salt Scrub. Essential oils blended with Dead Sea salts deeply exfoliate and nourish dry skin. Scent: lavender mint.